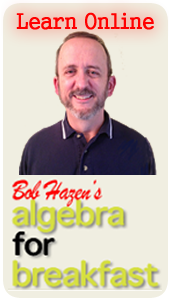 The Summer Algebra Institute offers classes for students in elementary and middle school levels. We also offer an advanced class for older SAI alums who have successfully completed a basic SAI course. Occasionally, we offer special topics classes such as SAI: Fractions and SAI: Logic. There is nothing like SAI anywhere else in the country! My son loved the program and now has confidence he can master math of all kinds. • connect the algebra of (3x + 4)(2x + 7) with the arithmetic of (34)(27). My daughter raved about the program. She could hardly wait to get back for the second day! The full title of this course is SAI: Fractions, Decimals, & Percents. Here we bring the same SAI approach to this vital topic – using color, shape, size, texture, music, hands-on activities, symbols, carefully worded explanations and more. Students in this course can avoid many of the pitfalls that high school students and adults have trouble with fractions and percents! This course uses our same SAI approach with algebra to make the topic of logic and reasoning one that is hands-on, sensible, fun, and challenging. This course is not offered every summer.